In anticipation of their upcoming initiatives promoting open source learning and games for foreign languages, The William and Flora Hewlett Foundation partnered with The Education Arcade to consolidate and disseminate current research on the use of games for learning and interactive digital foreign language learning. The Education Arcade hosted a symposium in Shanghai in January, bringing together leaders from industry, government, media and academia to discuss the possibilities for learning games in the Asia Pacific region and beyond. The Education Arcade will also be publishing a series of papers outlining the current issues surrounding the creation of open learning games, the possible marketing and distribution opportunities they create, and the relevant issues to consider when making learning games for foreign languages. Vanished is a "curated game," a format derived from alternate reality games (ARGs) for museums, being developed by Education Arcade for the Smithsonian museums in Washington D.C., with NSF funding. The game ran from April 4 through May 22 2011, and targeted middle school age kids in informal settings like afterschool programs. 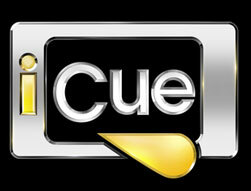 In 2008, Education Arcade was awarded a sub-contract under TERC, Inc., with NSF funding, to develop three multi-player flash games and a series of video tutorials that teaches basic survey-making skills, concepts, and vocabulary to middle school age adolescents. These games and videos are to be part of a larger afterschool curriculum being developed by TERC, Inc., a non-profit organization that specializes in K-12 science and math educational products. KSN seeks to address a lack of focus and quality curriculum materials in the middle school on statistics and data analysis. Palmagotchi combines the ideas of virtual pets (such as the popular Tamagotchi toy) and the evolutionary story of Darwin’s finches in the Galapagos Islands. 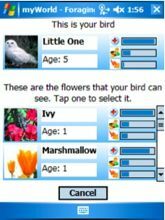 Players maintain families of birds and islands of flowers. They monitor and feed birds in order to keep them alive. They also mate their birds with other players’ birds in order to get offspring with desirable traits that maximize their chances of surviving various hazards in the game. Many science educators advocate conceptual or qualitative physics, the notion that physics is best taught not by mathematical formulae, but rather through experiments, labs, demonstrations, and visualizations which help students understand physical phenomena conceptually. Consistent with the Physics First curricular movement, this perspective maintains that a deep, fundamental understanding of physics provides a solid basis for future science learning. How to engage younger students in complex physics thinking is a challenge, but computer simulations provide one intriguing way to engage students in the study of abstract, complex physical phenomena. Digital technologies can immerse the learner in worlds that not only represent scientific phenomena, but behave according to the rules of physics. Simulated worlds can be programmed to behave by Newtonian or Maxwellian rules. The More We Know, a book by Eric Klopfer and Jason Haas, describes the rise and fall of iCue, a new media experience designed to support high school social sciences teaching and learning. Both part of the MIT development team, Klopfer and Haas examine the project and what it can teach us about new media, old media, education, and the challenges of innovating in educational media. 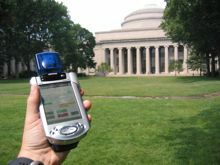 The MIT Teacher Education Program, in conjunction with The Education Arcade, has been working on creating "Augmented Reality" simulations to engage people in simulation games that combine real world experiences with additional information supplied to them by handheld computers. The first of these games, Environmental Detectives (ED), is an outdoor game in which players using GPS guided handheld computers try to uncover the source of a toxic spill by interviewing virtual characters and conducting large scale simulated environmental measurements and analyzing data. 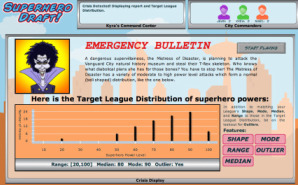 This game has been run at three sites, including MIT, a nearby nature center, and a local high school. Early research has shown that this mode of learning is successful in engaging university and secondary school students in large scale environmental engineering studies, and providing an authentic mode of scientific investigation. Revolution is the Education Arcade's multi-player, American Revolution-themed role-playing game based on historical events in the town of colonial Williamsburg. 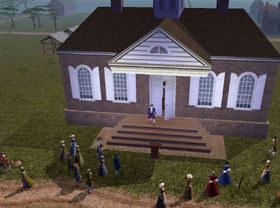 Set in 1775, on the eve of violent revolt in the colony of Virginia, the game gives students an opportunity to experience the daily social, economic, and political lives of the town's inhabitants. 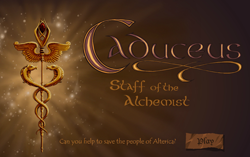 The Education Arcade and Boston-based Fablevision collaborated on Caduceus, an online puzzle-adventure game for tweens. Caduceus exposes young players (ages 8 to 12) to the concepts of altruism and compassion, while also testing their skills of logic, reason and creativity. Today’s youth, especially high school students, navigate a rich, diverse, and increasingly complicated mediascape. They often do so with ease, developing skills that extend literacy, synthesis and other traditional school skills. 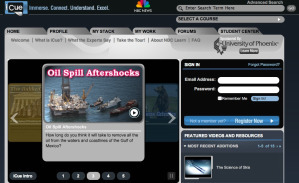 There are challenges however – despite an unprecedented 24-hour flow of news and information, teens typically have little awareness of or regard for news and current events; students have difficulty determining the quality of online sources; frequent use of shorthand writing styles for text or instant messaging causes some students problems when later asked to write well-developed essays.